Yesterday another Mac game has been released. Octodad: Dadliest Catch (Mac) is an new adventure game with a visual style inspired by the American 1950’s aesthetic, but with futuristic twists. Live through a full day in Octodad’s life, and venture outside the house! Tons of physics toys to play with. Jointed objects, springs, slippery surfaces, and more! Octodad: Dadliest Catch is now available for Mac on GOG.com. Check out the new trailer below to get introduced to the game. Octodad: Dadliest Catch is about destruction, deception, and fatherhood. The player controls Octodad, a dapper octopus masquerading as a human, as he goes about daily life. Octodad’s existence is a constant struggle, as he must master mundane tasks with his unwieldy boneless tentacles while simultaneously keeping his cephalopodan nature a secret from his human family. SIN Gold released for the Mac! Sin Gold (Mac) is a very known old action game. Sin Gold which includes the original SiN and the SiN: Wages of Sin mission pack is now available for Mac on GOG.com. Simply buy the Mac game from GOG.com and download and play. Check out the GOG.com trailer for the gameplay. Enjoy! You are Colonel John Blade, head of the most prominent private protection agency in Freeport. Elexis Sinclaire is waging her holy war against the security industry…and you along with it. You’ve made a religion out of fighting crime. Now you’re going to make Elexis pay for her sins. New Created CrossTies Week 5! On January 30, 2014 / CrossTies / Comments Off on New Created CrossTies Week 5! Quite a bunch new CrossTies I created, and some already existing CrossTies we checked out for tonight. Raoul Koomen and Ian Pickert are really helping me out testing and Ranking games in Crossover and I am really happy with them :) So if you want to help as well, just install your games you own in Crossover and let me know if it works, when there isn’t a CrossTie yet, or if there is, Rank it on the Crossover game page so people know that it works with the latest Crossover version. This is something we all can do and this way we can help each-other :). Some really awesome CrossTies are up know. A few very interesting ones are Medal of Honor Allied Assault (finally!) Payday 2, Startrek and Operation Flashpoint. Thirteen CrossTies in total, yep we are nice on schedule! Have fun! 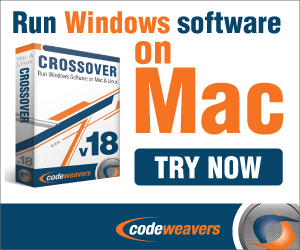 So check the Crossties out below and play these amazing games on your Mac! You need Crossover pre-installed in order for the CrossTie to work. Check out Crossover video page or on the game pages how simple CrossTies work! Enjoy! For tonight I have Temple of Elemental Evil for you guys. Not really my genre, but a lot of people seems to like it. I had this one already voor a long time on the shelf, but tonight the game page will get live on the site. This awesome game is available on GOG.com and works nice using Crossover! Watch the original video trailer below to get an impression of the gameplay! Enjoy! Thus begins your adventure within the Realm of Greyhawk. It is an adventure that will lead to the source of a deep and abiding mystery, to the very core of evil itself. Sins of a Solar Empire: Rebellion for the Mac! On January 29, 2014 / Crossover, CrossTies, GOG.com Games, Mac Strategy Games / Comments Off on Sins of a Solar Empire: Rebellion for the Mac! Guess what? Yes, here is; Sins of a Solar Empire: Rebellion, that’s the successor of Sins of a Solar Empire which I posted a few moments ago. Yup there are some nice games in the pipeline. While I am testing and creating CrossTies of existing game ports, I am testing some new games as well which of course results in some new port as well :) Watch the original video trailer below to get an impression of the game-play! Enjoy! While many were hopeful that diplomacy would finally end the war, differing opinions on what should be done, along with the depleted power of the controlling factions, has led to a splintering of the groups involved. The loyalist members of the Trader Emergency Coalition adopt a policy of isolation, focusing on enhanced defenses to ride out the rest of the war. Those who rebel against the coalition take on a purely militant view, coming to the opinion that the only way to bring peace is by ultimately crushing all who oppose them – especially xenos. Space strategy is the focus for today! We start with Sins of a Solar Empire: Trinity . This game is available on Gamersgate and this new bundle pack includes the original Sins of a Solar Empire, plus the Entrenchment and Diplomacy expansions. The game works nicely using Crossover in my tests. If you don’t know the game then the trailer below will introduce you with it. Sins of a Solar Empire is an innovative real-time strategy game featuring seamless transition between epic strategy and tactical combat modes, initiating what is already becoming known as the RT4X sub-genre. A galaxy of intriguing aliens, powerful starships, and colossal planets comes to life with stunning 3D graphics, unparalleled sense of scale, and a cinematic musical score. Explore and conquer nearby planets and distant solar systems by applying brute force, cunning strategy, elegant diplomacy, economic mastery, and researched technology. Etherlords 2 is just up and Etherlords 1 is already arrived as well! Etherlords is as Etherlords 2 a turnbased strategy game in a fantasy world. This game is available GOG.com and is the first of the 2 Etherlords games! The game works great using Crossover in my tests and that’s why I created a CrossTie for this game as well. Below a trailer of the gameplay. More turn based strategy games today! I wanted to put this one up yesterday, but the site was very slow that time that it took ages in the CMS to do something! It’s good that it is buy on the site and I do my best to speed the site up. I keep you guys informed. Lets start with Etherlords 2. Etherlords 2 is a turnbased strategy game in a fantasy world. This game is available GOG.com and is the follow-up of Etherlords 1! The game works great using Crossover in my tests and thats why I created a CrossTie for the game. Below you will find the trailer to get introduced with the game. Etherlords 2 is an exciting mix of role-playing, adventure, and tactical combat in the fine tradition of fantasy trading card games. Rediscover the world of Ether and a whole new realm of fantastic possibilities. Lead your Hero through five campaigns, through lands filled with unsurpassed beauty and danger. Summon a wide variety of creatures–Lamia Warriors, Red Dragons, Walls of Air, and more–to help you achieve victory on the battlefield. Use all the power at your disposal to show your enemies that is you who deserves to have complete control of Ether. The Ether is eternal, the Ether is all-powerful, and now it will be under your command. If you’re looking for a strategic challenge and you like trading-card games, this is your best pick! For the ones who loves Disney games, I have a nice port today. Not long ago Castle of Illusions was done, and now I have Ducktales: Remastered ported as well! This awesome game is available on Gamersgate and works native Windows using Crossover for the ones having an AMD Radeon GFX card in there Macs! When you have a Nvidia card instead the characters give glitches, which looks like a Mac graphic driver issue. Lets hope that part is fixed with the next OSX update of Mavericks. Use the Crosstie on the gamepage to let it automaticly install the game into crossover. Watch the original video trailer below to get an impression of the gameplay! Enjoy! DuckTales: Remastered is a hand-crafted, beautiful re-imagining of one of the most iconic 8-bit titles. Go back to one of the golden ages of gaming, but now refined with a level of detail that will please the most hardened Disney or retro Capcom fan. Featuring hand-drawn animated sprites, original Disney character voices talent and richly painted level backgrounds from the classic cartoon TV series, Scrooge McDuck and family come to life like never before. The gameplay retains the authenticity of its 8-bit predecessor, simple and fun, with slight modifications to improve game play flow and design. Embark on an authentic DuckTales adventure, as Scrooge McDuck and his three nephews, Huey, Dewey and Louie travel to exotic locations throughout the world in their quest to retrieve the five Legendary Treasures. SWAT 3 for the Mac! On January 24, 2014 / CrossTies, GOG.com Games, Mac Action Games / Comments Off on SWAT 3 for the Mac! On request! SWAT 3 is an tactical action game where you take command of a SWAT team. Some special features of this game are: Authentic SWAT tactics, gear, and weapons with true-to-life ballistics. It contains 27 intense missions set in real L.A. locations including the sewer system, the Convention Center, and even the LAX airport. It also has an adaptive A.I. which ensures that you’ll never play any scenario the same way twice! This awesome game is available on GOG.com for only $5,99 and works great using Crossover! Use the Crosstie on the gamepage to let it automaticly install the game into crossover. Watch the original video trailer below to get an impression of the gameplay! Enjoy!